Determining the right solution for your vehicle and your requirements demands special attention to many factors. Unlike numerous aftermarket suspension systems, which are only available in a single configuration targeting lift height, Old Man Emu (OME) now offers a range of tuned and matched integrated suspension systems engineered specifically for the Jeep Grand Cherokee WK2. This ensures the right suspension is available to suit how the vehicle is outfitted and the conditions it will encounter. This full line of suspension options will cover the range of builds from lightly built and stock vehicles up to those with 660 lbs. of constant weight being fitted. 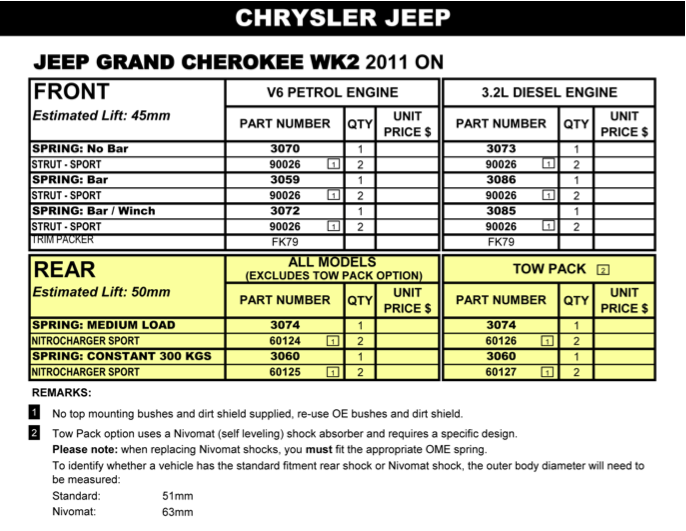 The objective of OME engineering team was to develop an integrated suspension system for the Jeep Grand Cherokee WK2. 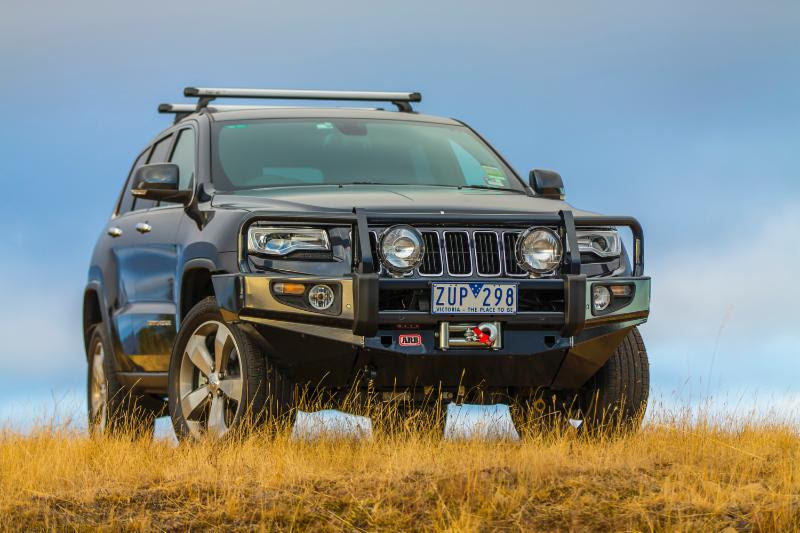 The WK2 runs an independent front and independent rear suspension setup and is available in a number of engine variants. In some markets there is a tow pack option, which comes with a Nivomat (self-leveling) rear shock absorber. Air bag suspension models are available for the Jeep WK2 and this new OME suspension system does NOT replace, nor is compatible with the Quadra-Lift airbag system.